Angelo's Taverna, Happy Hour — Denv.Her. Who doesn't love a good Happy Hour? It's literally called happy hour so if you're not happy with it, you should probs just go home. But since you've found your way to our post about HH, we'll assume you're a blast in a glass and enjoy some good apps & discounted drinks just as much as we do! I'm not just a regular blogger, I'm a cool blogger. denv.her. & bests made our way to Angelo's Taverna's HH and we were not disappointed. "We strive to bring the best food and wine to your table without pretentious prices or attitude. We are merely shuckers and sippers with a desire to share our collective experiences and make them yours." 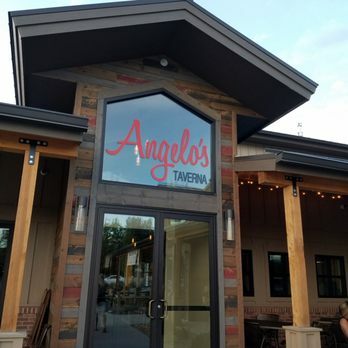 UM hi Angelo's - you're cute and we're obsessed with you. #loveafellowshuckerandsipper . Angelo's prices (especially HH prices) are #phenom for the quality of food and wine you are able to enjoy. So many good choices at such good prices right? We all ordered $2 off Tap Wines - Treslyn chose the Rosé. Emily opted for a Sauv Blanc. Dana went with a Pinot Grigio. I picked a Chardonnay. We all had to have our light wines with the copious amount of oysters we were about to eat. Now we're big, big oyster gals. Give 'em to me raw. Give 'em to be baked. Give 'em to me grilled. Also random tangent but do you all remember the oyster scene from Alice In Wonderland? Do you guys remember this?! It's seriously so f*cked up I can't lol #thanksdisney. Like the Walrus lures the baby oysters away for their grandma and then eats them all...& like #same Mr. Walrus, I like oysters too, but a bit morbid for a children's movie, no? We obvi got after the raw oysters ($1/oys) and chargrilled oysters ($2/oys) at HH. 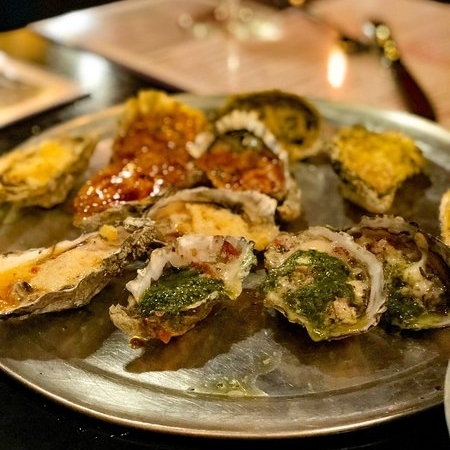 The chargrilled oysters come in multiple different variations such as Chipotle Bourbon Butter, Bacon & Gorgonzola and a Special (which when we went, was Lobster Garlic). 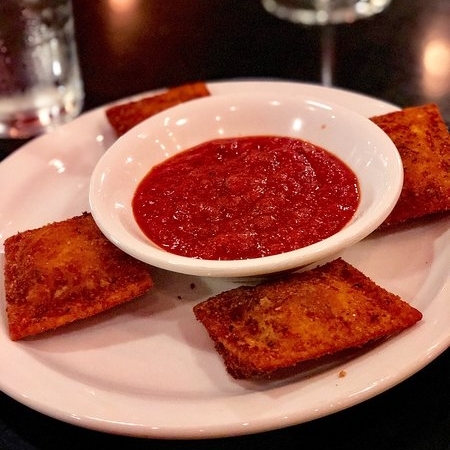 We then tried the Toasted Ravioli (comes with 4 and a side of marinara, $5.75). The raviolis were good but honestly. it's just fried cheese; super comparable to a mozzarella stick - really heavy and not my fav but not bad. We then went ahead and diverted from the HH menu to get the Grilled Lamb Lollipops (comes with 3, $11) and Burrata ($9.75 and plenty to share for 4 people). This diversion from HH was so worth it because we loved both of these apps. 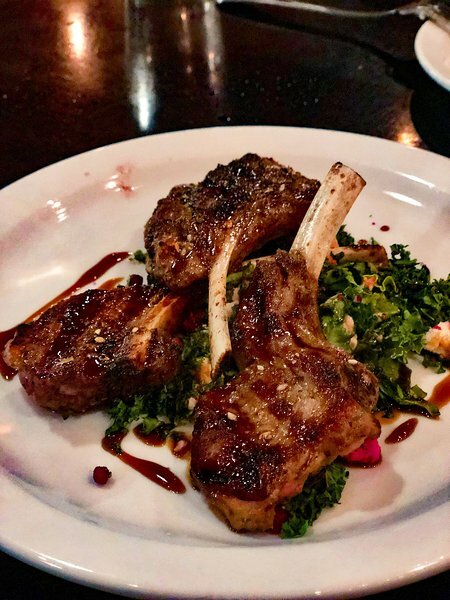 The Grilled Lamb Lollipops come with kale and fregola salad, topped with feta, and coated with pomegranate molasses. We'd totally get these bad boys again. They were juicy and seasoned really well. 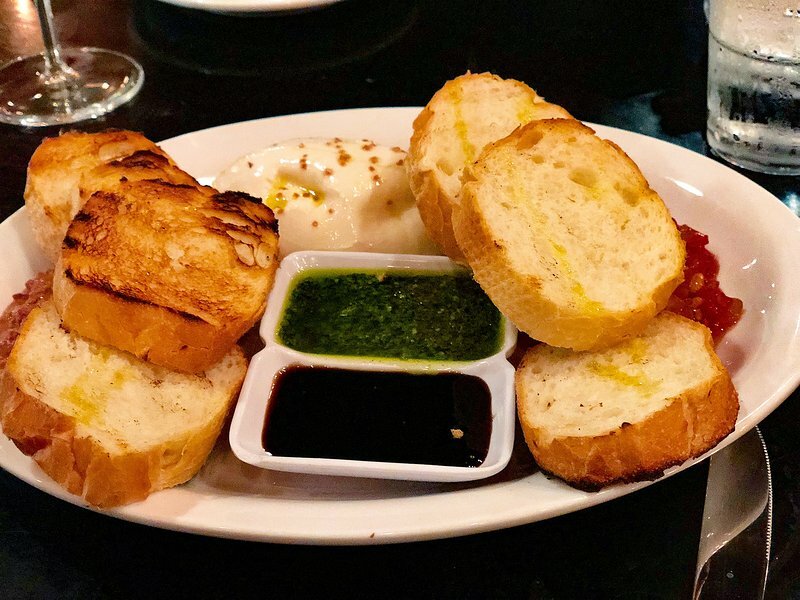 The Burrata, which is fresh Italian cow cheese made from mozzarella and cream, comes with pesto, olive tapenade, tomato jam, olive oil, sea salt, grilled bread. #toodelish #couldeatthisallday #wouldeatthisallday. Treslyn and Emily tried the HH spinach salads and they were standard. Nothing to rave about salad wise but when is a salad ever really rave worthy? We'd highly recommend the raw oysters, chipotle chargrilled oysters, and the burrata at Angelo's for apps & HH- these were our three favorites! 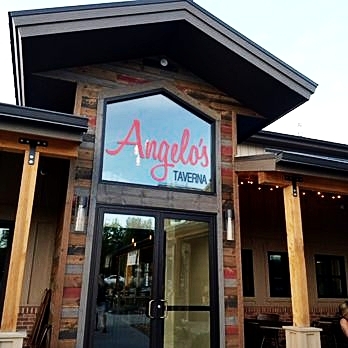 We can't wait to visit Angelo's again soon! 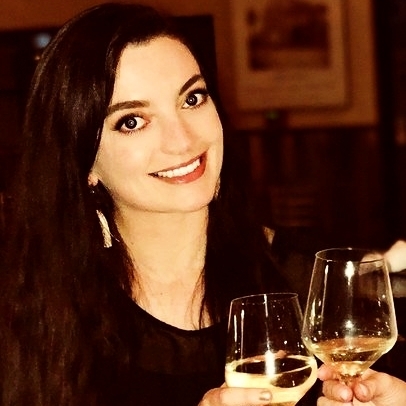 Plenty of wine, a ton of oysters and even more laughs with da best gal pals <3. Royce Clothing, "Life Is Better in the Mountains"